The surrealist leader André Breton described desire as the 'only master that man must recognize.' One of surrealism's defining themes, desire was expressed variously in Dali's charged landscapes, Miró's lyric abstractions, and Bellmer's unsettling nudes. Influenced by Freud, the surrealists saw sexual desire as a path to self-knowledge-'a theatre of provocations and prohibitions in which life's most profound urges confront one another.' Published to accompany a major transatlantic exhibition of international surrealism, this lavishly illustrated catalogue explores desire in surrealist art in both words and images. Key works by such artists as Duchamp, Magritte, Ernst, Dali, de Chirico, Giacometti, Bellmer, Oppenheim, and Cahun are illustrated and discussed, as are surrealist films and photographs by Man Ray, Brassaï, and others. The volume also features some of the rare and beautiful books produced by the surrealists in their celebration of love, as well as a selection of fascinating manuscripts, letters, and documentary photographs that reveal the personal contexts of the group's exploration of desire. 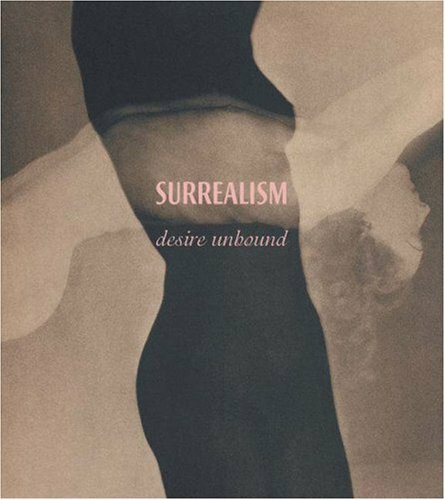 Essays by leading scholars show how the theme of desire was implicated in almost all aspects of surrealist activity-not only its art and writings, but also its political struggles and its ethical stances on issues involving individual liberty and the social control of sexuality. This attractive and provocative volume illustrates a vision of desire that embraces both sublime exaltation and dark carnality. It shows the unprecedented intensity with which the surrealists extolled love and the extent to which they depicted desire as implicated in every thought, action, event, and encounter. A major contribution to surrealist studies, this volume is edited by Jennifer Mundy, and has contributions from Dawn Ades, Katharine Conley, Neil Cox, Carolyn J. Dean, Hal Foster, Vincent Gille, Jean-Michel Goutier, David Hopkins, Radovan Ivsic, Julia Kelly, Annie Le Brun, David Lomas, and Alyce Mahon.